Hello everyone, SELL Nigeria just concluded the 2018 Annual General Reflection with the theme: VOLUNTEERISM: MY CALL, MY PRIDE: A VEHICLE FOR SELF AND COMMUNITY DEVELOPMENT. The 2018 AGR started on the 11th to 15th of April. 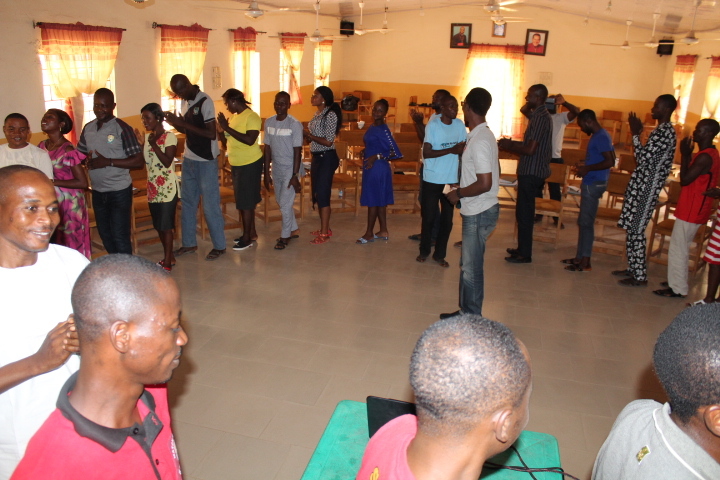 It featured different activities as thus: Presentation of the impact of SELL programme by community teams, Advocacy visits to the Bachama Traditional Council and to his Lordship Bishop Amos Yakubu of Lutheran Church of Christ in Nigeria (LCCN) in Yola. Input on volunteerism was facilitated by Daniel Mailambu of Icon Afrique. James Amajama took participants through the SELL data-base, Business meeting and presentation of Awards. FAMILIARIZATION VISIT BY OTHER NON GOVRNMENTAL ORGANIZATIONS: In the course of the opening session of the Annual General Reflection, two NGOs came on familiarization visit. Centre for Leadership and Environmental Development (CLED) and International Organization for Migrant (IOM). Their visit was intended to build synergy between SELL and to identify areas of collaborations. Their visit afforded them the opportunity to see and listen to the presentations from the SELL community teams. INPUT ON VOLUNTEERISM: Daniel Mailambu in his presentation described Volunteerism as an act of providing service for others for reduced or no cost; people perform some form of volunteer-service and contribute to the community. Volunteerism promotes so many positive outcomes that bridge gaps and meet needs. This was summarized as the act of BEING Vs DOING. Participants were challenged to give back to the community whatever training they have received as they stand to benefit a lot of opportunities to learn new skills and valuable work experience (enhancing marketability for work), The experience of volunteerism can help develop many social competencies – identity development, compassion, sense of agency (ability to make a difference), leadership, confidence and self-esteem. The input was engaging as participants got the opportunity to ask questions that contributes to positive youth development and they were encouraged to use both their HANDS AND MINDS to be the positive change they wish to see in the society as Gandhi ones said. BUSSINESS MEETING: The business meeting reflected on the progress of SELL activities in different the Dioceses and plans for the future. Highlights of the meeting were: Progress report from SELL Community teams, Challenges and way forward as well SELL Training of Facilitators. The road map for implementation of SELL Programme was presented in line with the SELL Strategic Plan of 2016-2020. ADVOCACY VISIT TO BACHAMA TRADITIONAL COUNCIL: On the 14th of April, 2018, the Director, SELL resource members and the entire delegates at the AGR paid a courtesy and advocacy visit to the Hama Bachama traditional council in Numan, Adamawa State. Having introduced who we are and what we do, Chief Philemon Gobi (JP) Mayor/Wakili who represented his Royal Highness who was unavoidably absent during the advocacy due to some engagements outside the kingdom welcomed the team and expressed his gratitude to the Director and SELL Foundation for the good work SELL is doing to ensure that peace reigns among the young people and in our communities at large through the various peace programmes. He expressed grief on how the young people have been used and manipulated to cause chaos in the land. He went further to say that instead of the young generation deploying their talents and resourcefulness on what will make the country move forward; the security situation has turned them to community watchmen against incessant attacks on lives and properties in the community. He said Peace is a natural thing which each and everyone is expected to enjoy, but the reverse is the case. He added that the situation of the country presently has made everyone to speak peace, but do we really practice what we preach? He concluded his speech saying that leaders have become rulers instead of leaders. He therefore encouraged the young people to embrace one another and become agents of peace and always ensure that leaders not rulers are voted to positions of responsibility. As part of leisure activities, Delegates went for sightseeing under the famous Numan Bridge then later to Mope Resort for lunch and relaxation after a hectic and sunny day. VISIT TO THE BISHOP OF LUTHERAN CHURCH OF CHRIST IN NIGERIA YOLA DIOCESE Delegates from the AGR went on a courtesy call to Bishop Amos Yakubu of Lutheran Church of Christ in Nigeria Yola Diocese to strengthen the vision of SELL in Ecumenism. 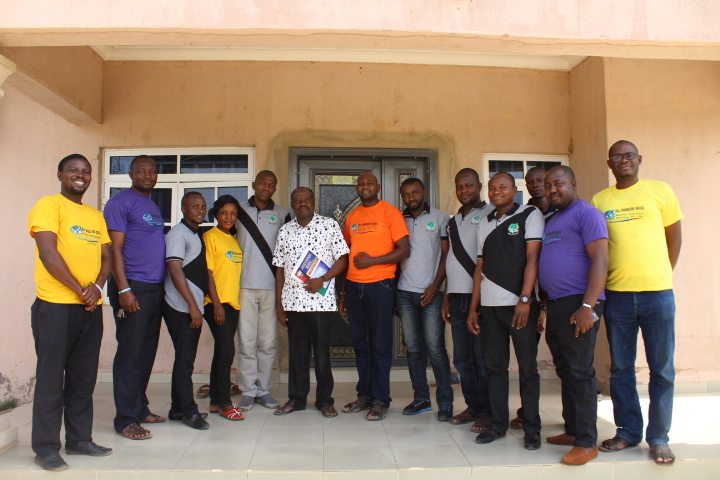 The delegation was led by the Executive Director, SELL Foundation. The bishop warmly received the Director and the delegates, he expressed gratitude to the Foundation for reaching out to many young men and women from different faith background, including youths of the Lutheran Church who are trained SELL volunteers. He went further to say there are many young people who are parading the street doing nothing. He commended the SELL for helping them to become responsible and independent in the society. He promised to always support the programme and said his Church is open for more youths to be trained as SELLITES. VISIT TO INTERNALLY DISPLACED PEOPLE’S CAMP: Delegates at the AGR extended hand of friendship to the Internal Displaced Persons (IDPs) camp at St. Theresa’s Catholic Cathedral Yola Adamawa state to offer them psycho-social and moral support. 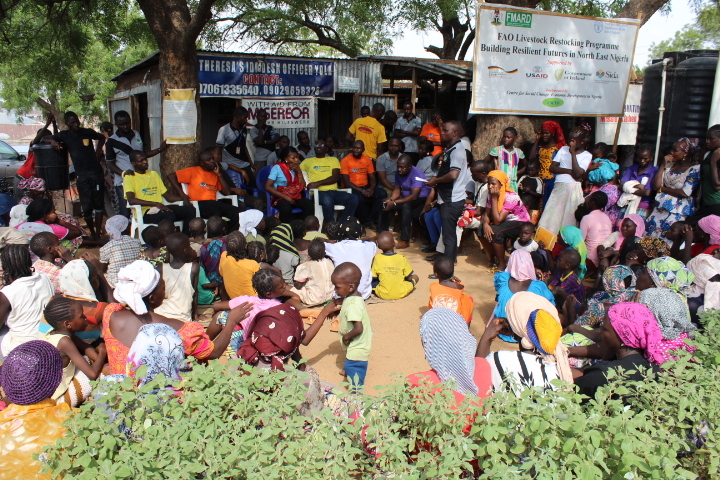 They were encouraged to remain positive in spite of the lost of loved ones, property and displacement from their ancestral home which has occasioned by the wanton killings by Boko Haram. Donations were made by delegates to support their upkeep. Fr. Morris Kwairanga the Coordinator of Justice Development and Peace Caritas (JDPC) Catholic Diocese of Yola appreciated the Director of the Foundation Fr. Patrick Esekon for his passion to serve Nigeria in this trying moment and learning the language of the people for easy communication. He extolled the wonderful work the SELL Yola team is doing with the IDPs and encouraged the Foundation to keep up the good work. AWARD PRESENTATION: Chaplains played important role in the setting up of SELL programme in the North-East and Plateau State since 2008, they form the initial teams of facilitators and have continued to support the activities of the community teams even when most of them have been reassigned to other responsibilities. It is in appreciation of their support and interest in youth development in their various Dioceses that the Chaplains were presented with awards. 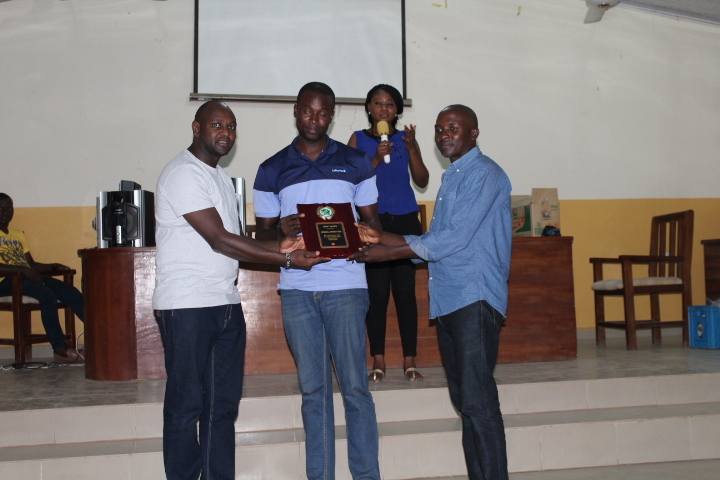 Yola and Gombe community teams received awards for conducting the highest number of step down workshops and the most impactful story respectively. We congratulate the awardees and encourage all to put in their best in the service of their communities. The 7th AGR rounded up with a social night on Saturday while closing Mass was celebrated at 5:30am on Sunday on the 15th April, 2018. We express our profound gratitude to Most Rev. Dr Stephen Dami Mamza the Catholic Bishop of Yola Diocese for granting us access to the Pastoral Centre. 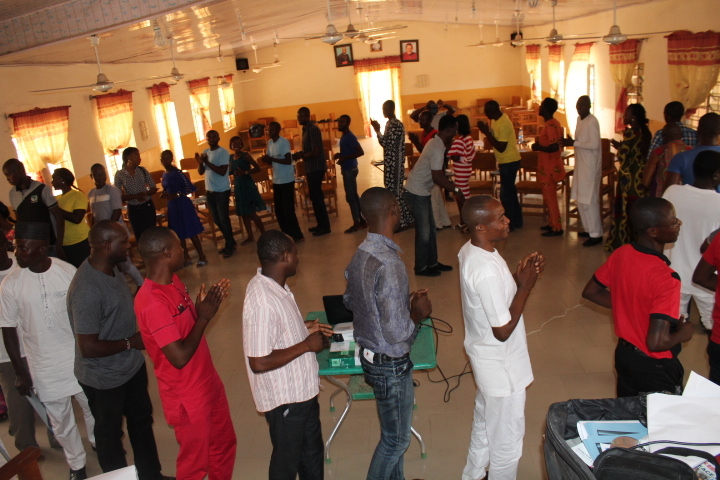 We also want to thank the Yola CYON Chaplain Rev. 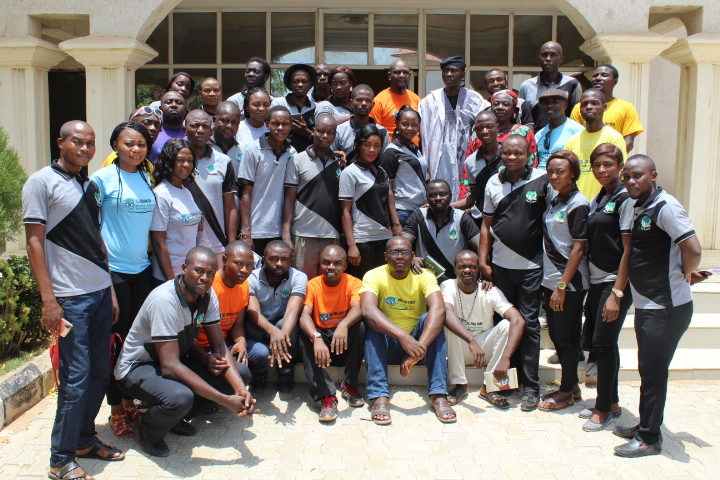 Fr Oliver Baga and the entire Yola community team for their support towards ensuring the success of the programme. To our dear volunteers across the North East and Plateau State, thank you for the sacrifice and for your inputs during the 2018 AGR. As it is said, the reward of hard work is more work, keep the fire burning. Think and Choose!